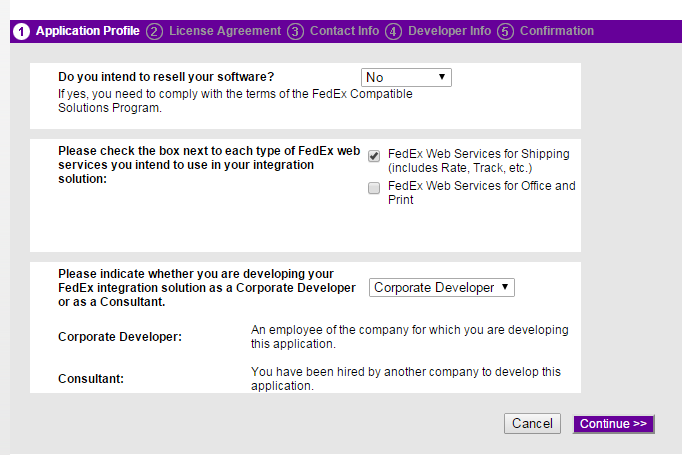 Step 2: On the Technology Resources section (Upper left corner), enter your User ID and password and select Web Services for shipping. Click on Login. 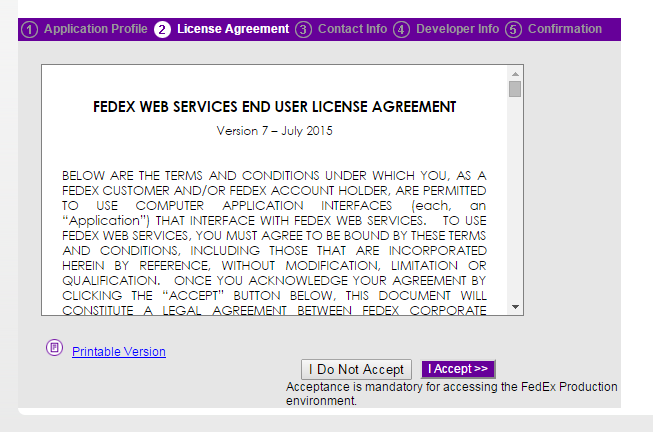 Step 3: Once logged in, the user will be directed to the Web Services page. 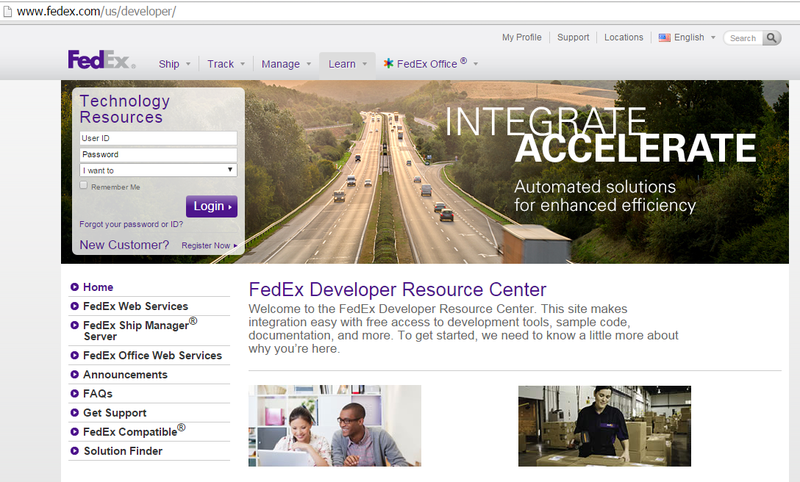 On the left side of the page, under FedEx Web Services, click on “Move to Production”. Address line 1 : This is mandatory. 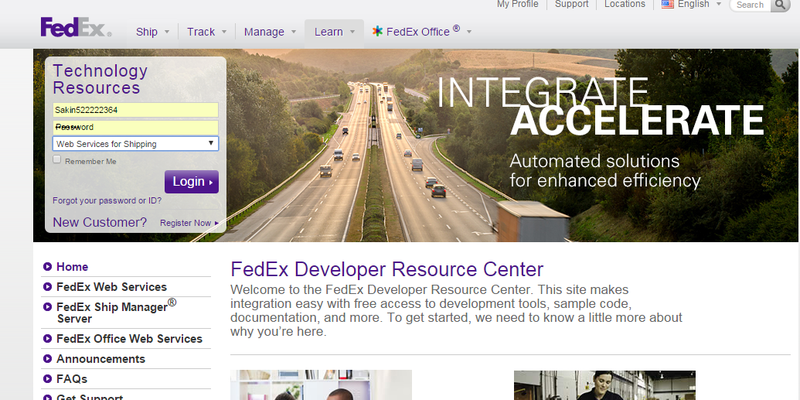 Enter your address as registered with FedEx. Address line 2 This is optional. 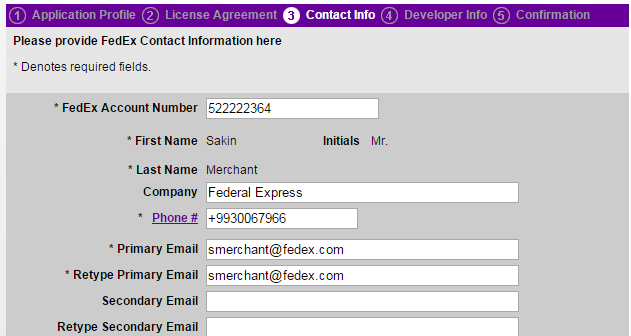 Enter your address as registered with FedEx. Once all the field are entered, click on continue. 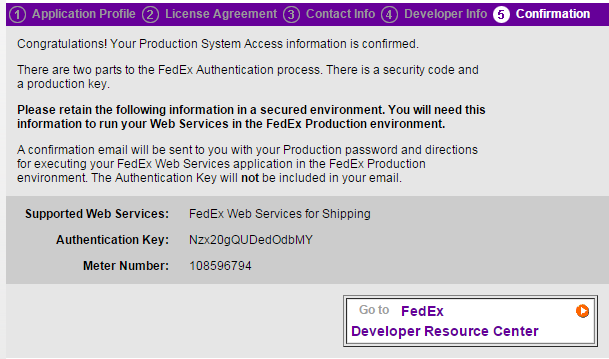 Password : The password will come to separately in the form of a e-mail from FedEx Online services. (Please copy the same and save it on note pad). You should receive the email immediately.